//i’ve been wanting to put this up for so long! presented on this ad for my advertising individual presentation. i really love the whole campaign and hence, i’m going to share it here on this blog. Who will you pick to be on your team? 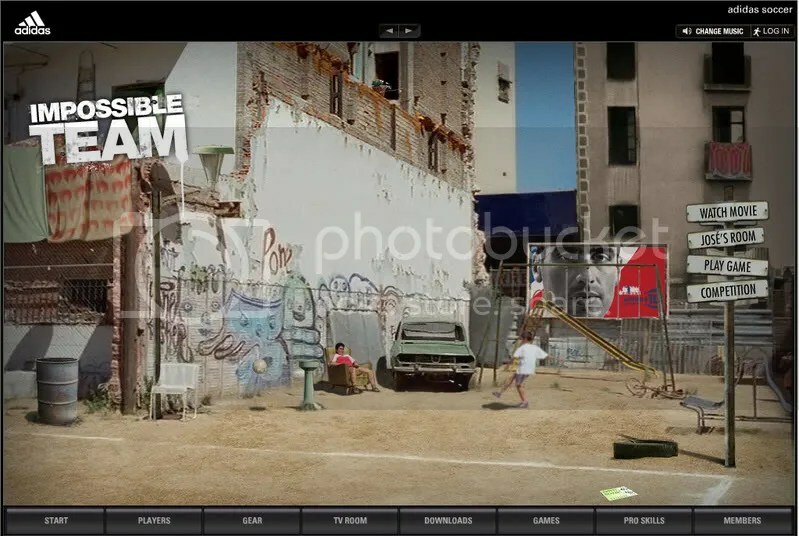 “Impossible Team” is an integrated global advertising campaign including global and local versions for TV, cinema, print, outdoor, point-of-sale, public relations and on-line which kicked off on April 4, followed by a global roll-out leading to the FIFA World Cup. 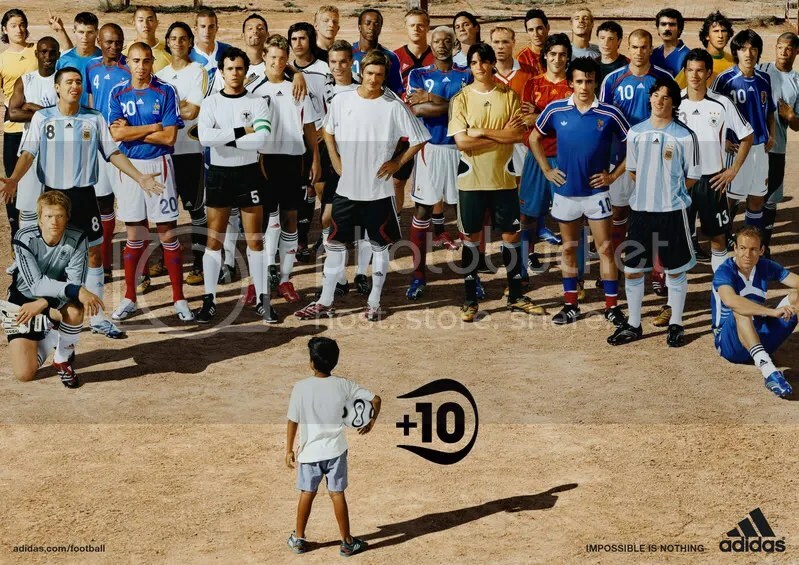 The campaign centres on the two 60-second films “Equipo” and “Partido”. Next on “Partido”, the teams of Pedro and José actually play against each other. Pedro and José are in control of the game and their team: Kaká gets sent off and Jermain Defoe is chosen to go in the goal, a role which he puts his heart and soul into, even if he only uses his legs. This execution celebrates the beauty of the actual game but also references the FIFA World Cup Final of ’66 in which England meets Germany. However, this time with Frank Lampard in the role of English “goal scorer” and Oliver Kahn defending the German goal. ain’t they cute? 🙂 they are truly the stars of this ad! can someone translate the first commercial for me please? whats the name of the song at the end of the video? hi. i’ve watched these ad spots so many many times since they came out. i think they are one of the truly great accomplishments in commercial concepts of all time. i’ve gotten most all the dialogue even though i don’t speak spanish. i’m sure there’s at least something i’ve missed in the inside humor though. Can you send me that translation you mentioned? Hi, I really enjoyed your review. Yes, I totally agree that Adidas really came up with an amazing campaign that truly touches upon every football fan’s and even non-football fan’s hearts. It’s a real dream-come-true. I did always wonder about the Spanish conversation though. Could you share the translation of the script with me as well? Thanks so much in advance. FRANK LAMPARD reckons Double-chasing Chelsea have proved they arent big-time Charlies. HI, do you mind sending me the translation? Thanks.